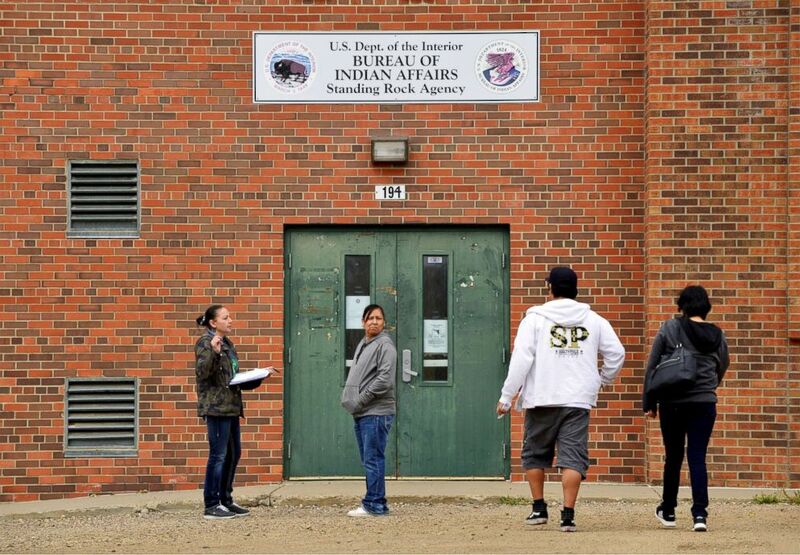 A judge denied a North Dakota tribe's emergency motion to block the state from implementing a key part of its strict new voter ID law just a few days ahead of the midterms, citing the confusion such a change could cause ahead of the "fast approaching" elections. "The federal courts are unanimous in their judgment that it is highly important to preserve the status quo when elections are fast approaching," U.S. District Judge Daniel Hovland wrote in the order denying the emergency motion. Hovland also wrote that the details provided by the Spirit Lake Tribe in the complaint provided "great cause for concern" and would require "a detailed response from the Secretary of State as this case proceeds," but maintained that "a further injunction on the eve of the election will create as much confusion as it will alleviate, and is foreclosed by precedent which is hesitant to permit 'eleventh-hour changes to election laws.'" The voter ID law, which requires all North Dakotan voters to provide a state- or tribe-issued ID with a residential address in order to vote, has been the subject of legal back-and-forth for years because Native American tribes hold that it disproportionately affects Native Americans who live in rural communities on reservations and often don't use residential addresses, but rely instead on post office box addresses to get their mail. According to studies commissioned by Native American rights groups, roughly 35 percent of that population doesn't have an acceptable ID with a residential address. Hovland, the judge who denied Tuesday's emergency motion from the tribe, is the same judge who ruled twice that the voter ID law was placing an undue burden on Native Americans attempting to exercise their right to vote. His ruling was overturned by the U.S. Court of Appeals for the Eighth Circuit, and the U.S. Supreme Court allowed that decision to stay in place about a month before the election. On its own, Spirit Lake Tribe estimates it had more than 200 people living on the reservation without residential street addresses. According to the motion filed Tuesday, voters have already had their absentee ballots rejected because of confusion around the new law and "the problem threatens hundreds if not thousands more on Election Day," the plaintiffs wrote. Voting canvasser, Desiree McArdel helps tribal members obtain proper identification cards from the Bureau of Indian Affairs on the Standing Rock Reservation in Fort Yates, N.D., Oct. 26, 2018. Tribes have been working to secure proper IDs for members by printing new ones and holding events to raise awareness, like a free benefit concert last weekend including musician Dave Matthews and actor Mark Ruffalo. According to data from the state’s four largest tribes and affiliated groups, at least 2,000 people have been issued new IDs by tribes. Tuesday's emergency motion, and the judge's denial Thursday adds to a growing concern in the state that Native American voters will be disproportionately affected by the new voter ID law, but there are also potential political ramifications. Sen. Heidi Heitkamp, a vulnerable Democrat running for re-election in a state Trump won handily in 2016, won by a narrow margin of under 3,000 votes in 2012 and had overwhelming support from Native American populations in North Dakota. ABC News' Roey Hadar, Lauren Pearle and Stephanie Wash contributed to this report.